Another edition of Q & A! I really want to play overseas, but I don’t know where to start? Is it a good idea to contact people on the internet? 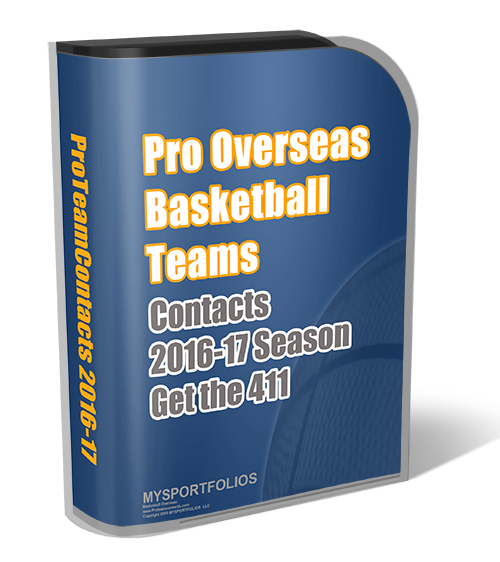 You can start by contacting players who have played overseas and use their contacts to find agents and teams. Close recommendations are always 99% safer than with people from the internet. I’ve seen many basketball scams to rise the past couple of years. Some players have lost money by sending to scam artist who promise a basketball dream. Remember never pay for an agent. With most contracts the team pays the agent if they are legit. What is the best way for me to get into playing overseas if I didn’t play basketball in high school or college, but have the skill and knowledge for the game? The best way is to participate if you could in combines because with demonstration of your game you’re nobody. You have to travel and play in leagues so teams and agents can see you. Does China allow americans to play for their team? if so, how do i make contact? i am moving to china from the united states, and i just graduated from fresno state, where i played division one basketball. Thanks! Yes, China does allow American players. There are specific agents who work with top basketball players who want to play in China. Most teams in China are looking for names and big players so its not an easy task! Yes, this is a team the Dallas Diesel which has helped many players get overseas with their contacts and leagues. They are serious in helping players and get your name out there. I can’t say enough more good things about them! English, Scotish, Irish basketball league and Slovenian one. Can u compare them?? The English, Scotish and Irish basketball leagues are considerably the same and because the countries are mainly focused on European Football (Soccer) you can see it in the quality of basketball leagues. They aren’t the best leagues in Europe. In Slovenia, the league is well known in Europe and have 4 different divisions, which says a lot about the quality. I don’t have a 100% answer but if you are working out its like any camp/clinic to improve your skills, I guess its ok. However, if teams and agents approach you to play in the league that would go against NCAA rules. There isn’t a cut off age.. There aren’t any rules of that sort. hey my name is gavin wright, i have been playing basketball since i was 11 and am now 21, i live in south africa. i have represented my country at the under 18 and under 20 level, and have competed in two international tournaments for south africa. i currently have a scholarship at the university of johannesburg, i am 6 foot 9, and now that i am finnishing up my degree was wondering if there is any possibility of playing in a league oversees somewhere (anywhere) i also have a british passport so traveling shouldn’t be any problems, could you please give some advice on where to look. @ Gavin – It would be best in your case to find an agent or play in some type of camp this Spring in Europe. I wanted to know if most overseas coaches can speak english, because im sending e-mails and video out to coaches overseas but im thinking what if they do recieve an e-mail or video but cant speak english what do you think would be the next step for them…? I am a basketball player. I played in high school in Saint Louis MO, graduated in 2005. Played two years in Juco (meramec community college in St.louis), I then went to Oklahoma Panhandle State University in 2007-2008. Unfortunately I had to leave there and for 2008 I went to Maryville University of st.louis but I was unable to complete my last season because i was unable to afford school there. I played 5 games of my serior year. However, I was wondering if there was anyway I could still play over seas even though I have not completed college. I play point most of the time but I can play 2,3,or 4. I am 5’8, 160. I just love the game but I’m kind of at a dead end right now because I cant finish school until I pay off my tuition, I cant coach until I finish school and I can’t play because I am not in school…so if there is any information you can give me that will keep me playing basketball or at least just be around it that would make my yr.
How can I find a agent?